His first novel, The Rounders, was published in 1960, and became a hit movie in 1965. 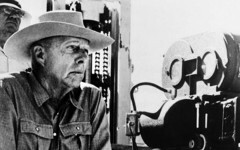 His second novel, The Hi-Lo Country, was published in 1962, and despite being optioned repeatedly, didn’t reach the screen for 37 years—it was a contemporary story when he wrote it, but a period picture when they filmed it. 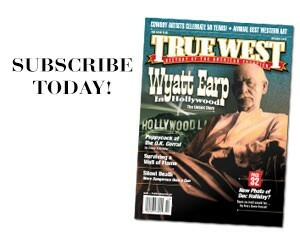 Celebrating the 20th anniversary of the release of the film version of The Hi-Lo Country, Evans talked with True West about his Hollywood adventures. 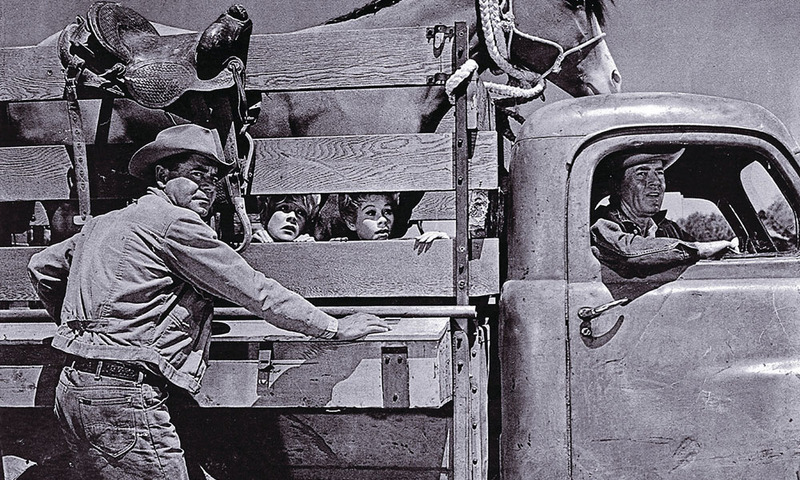 In 1964, Burt Kennedy directed Glenn Ford (left) and Henry Fonda (in truck cab) in his screenplay adaptation of Max Evans’ post-WW II Western novel The Rounders (1965) on location in Sedona, Arizona. 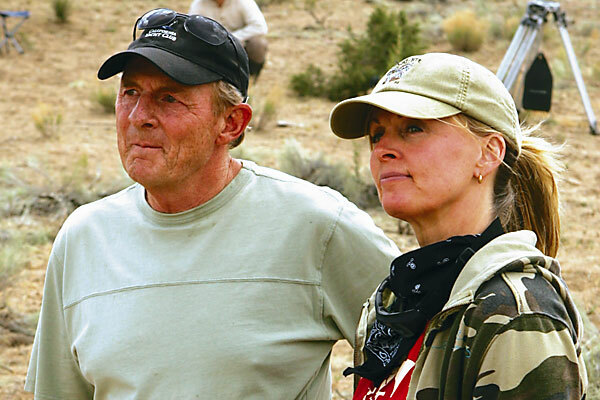 Ford and Fonda’s careers received a boost from the internationally popular film, which later was adapted into a short-lived TV series. Kennedy optioned the book three times before he got it set up at MGM. “Sam (Peckinpah) lost The Rounders to Burt Kennedy, and it really pissed him off. I had just published The Hi-Lo Country, and my agent sent it out to him. Sam optioned that at least five times. He was obsessed with that thing, and he never did get to make it.” They became close friends to the end. Although there could be friction. 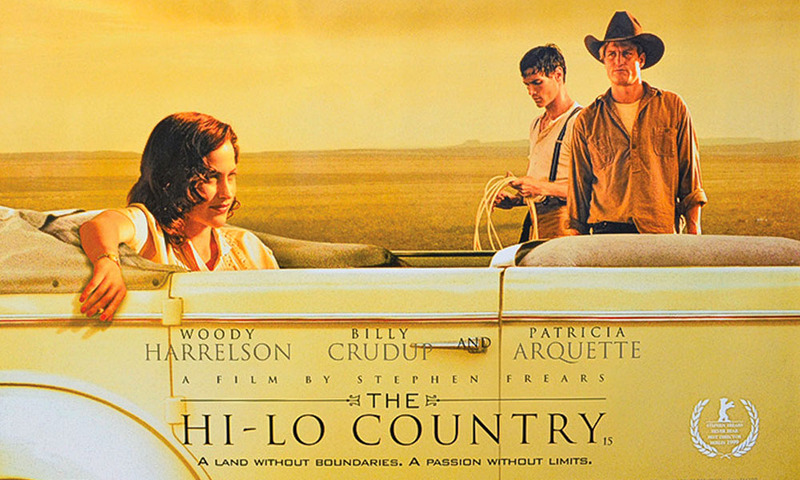 Max Evans’ semi-autobiographical novel The Hi-Lo Country (1961) was optioned many times by Sam Peckinpah, but it was producer-director Martin Scorcese who finally got it made in 1998 with stars (l.-r.) Patricia Arquette, Billy Crudup and Woody Harrelson. 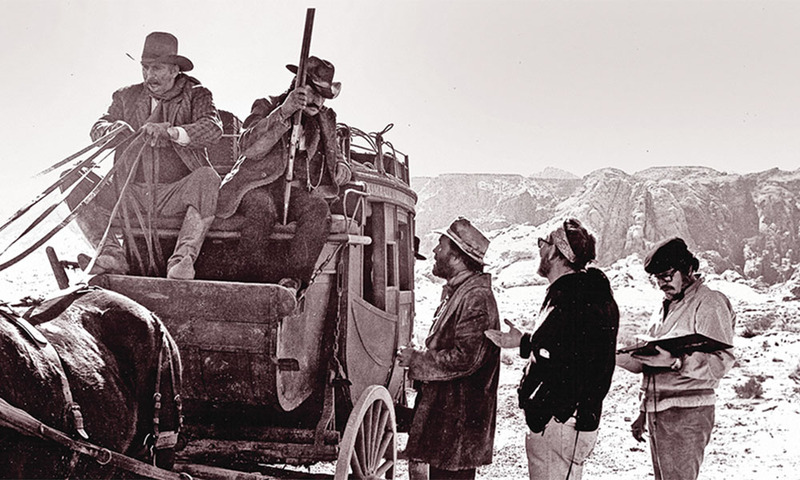 Although Peckinpah would never film an Evans story, he would direct him, as the stagecoach shotgun rider, in The Ballad of Cable Hogue. A Divided America Underground re-creates the struggle for freedom in the antebellum South. Not So Lonesome A sneak peek at mcmurtry-ossana’s literary collaboration, on the set of Comanche Moon.